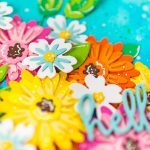 Did you know that Mother’s Day in Australia is second to Christmas? How nice is that? 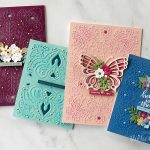 Both the United States and Australia celebrate Mother’s Day in May while other countries vary in their traditional date. With that said, it is never too early to create something with your Mom in mind. 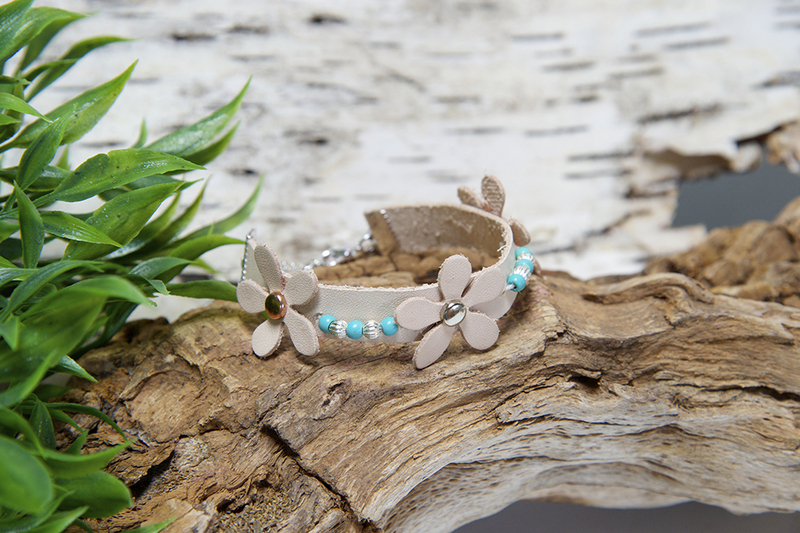 Today I’m going to show you how to create this simple but pretty bracelet that you can give her to say she’s remembered. Really, this is a nice gift for anyone special in your life. 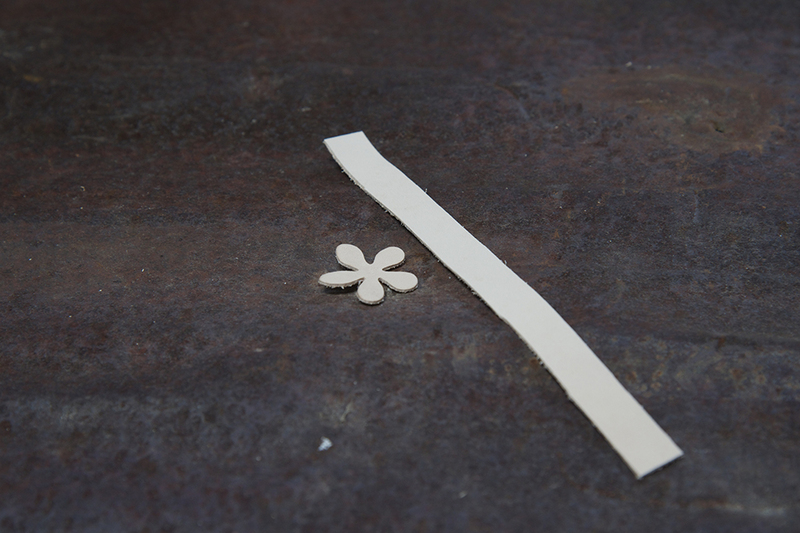 Let’s start by cutting or purchasing a strip of leather, conducive for the width and length of a standard bracelet. Mine is 0.50 x 6″. Poke a small hole in center of Flowers using Tool ‘n One™ and attach brad to center. Place Flowers where desired and mark with pencil. Remove. 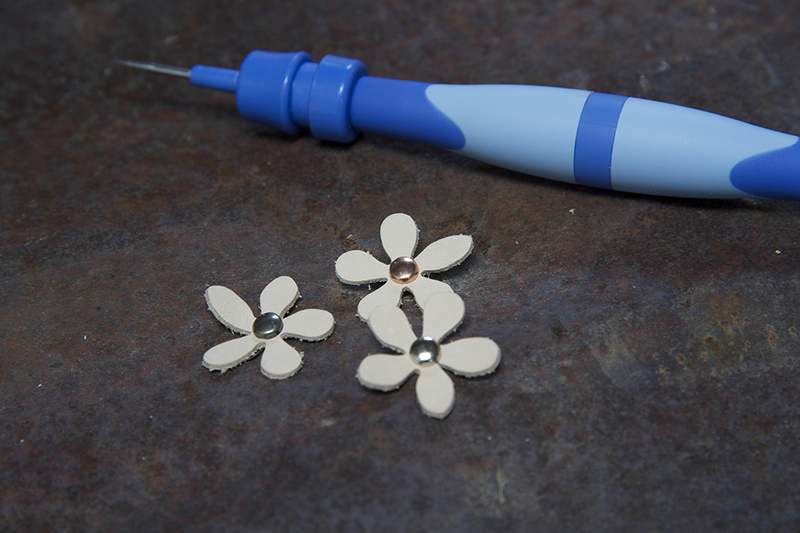 Create two holes in between flowers using Tool ‘N One™. 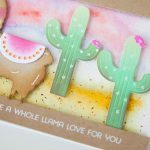 Insert waxed thread into holes and add beads. Tie off in back and glue down. 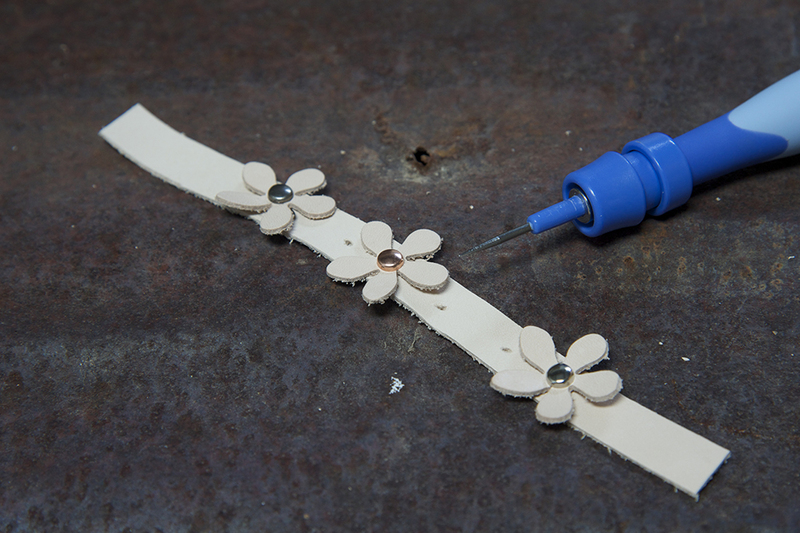 Adhere die-cut Flowers to bracelet between beads using adhesive. 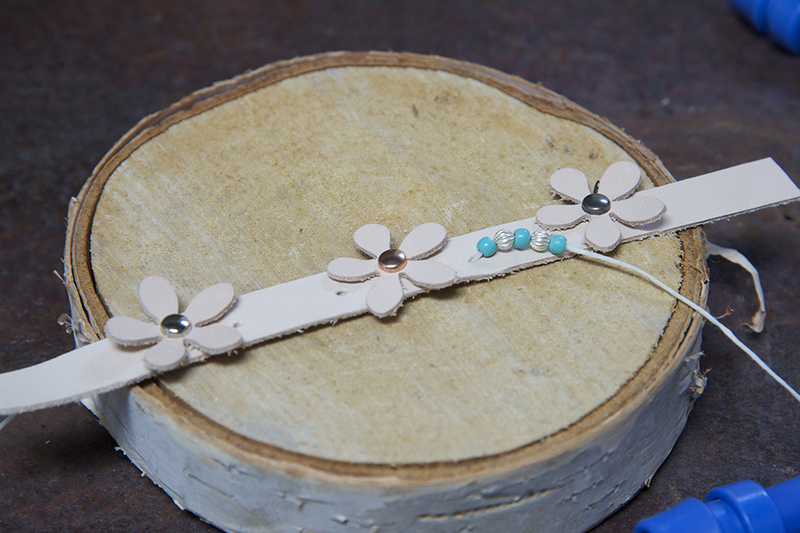 Attach ribbon end crimps and clasps onto leather bracelet ends. 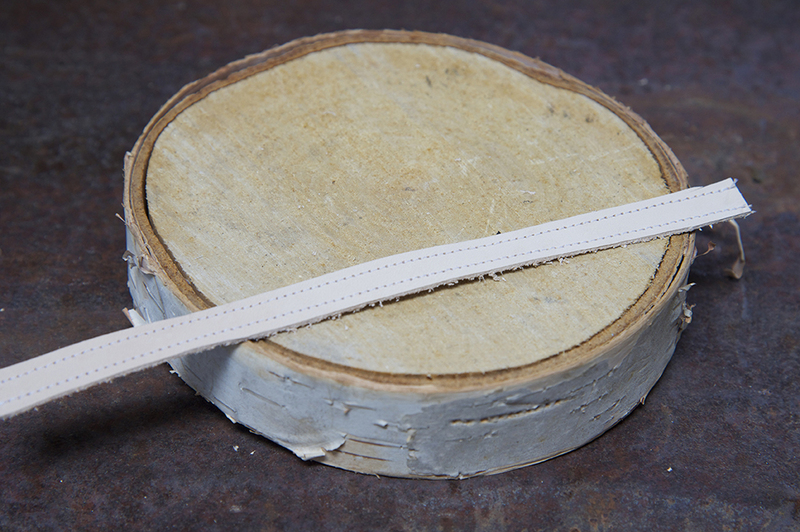 TIP: For a finished look, stitch edges of the leather band using a straight stitch. You can also buy a skinny leather belt.